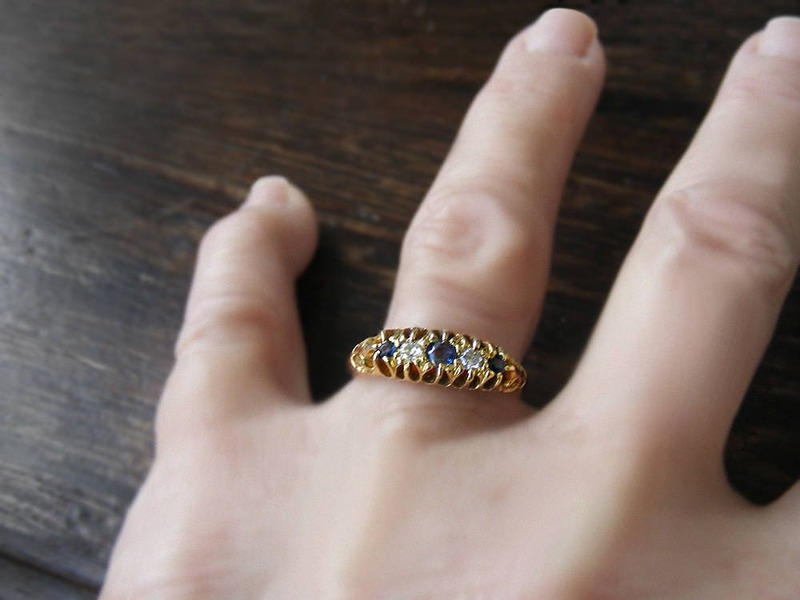 An exquisite sapphire and diamond antique ring from the Edwardian era. 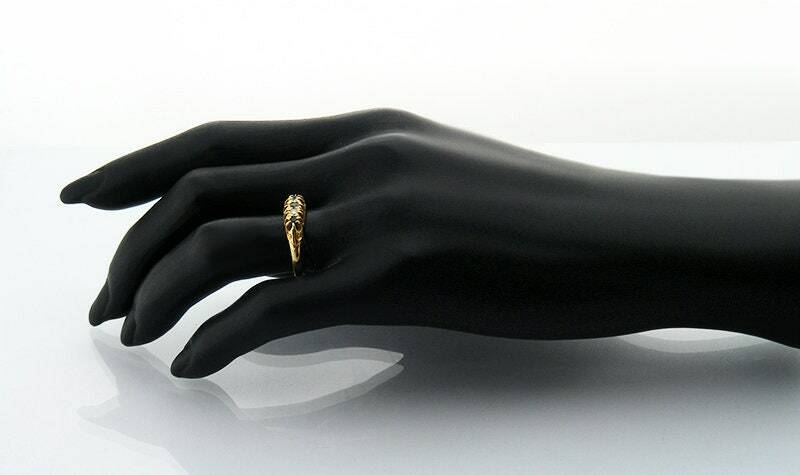 Artisan made in 18 carat English gold, this romantic ring is wonderful on the hand with superb sparkle! 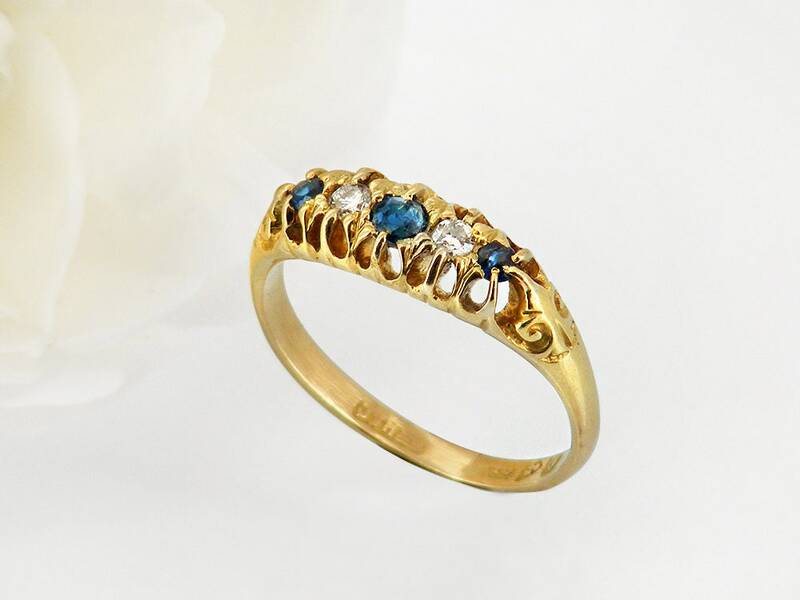 The ring is set with three sapphires and two diamonds. Natural, untreated and an attractive mid blue in color. Note that the center stone has a gentle shaded tone - proof that this is a natural stone and very, very pretty! Two, set between the sapphires. Old cut diamonds exhibit wonderful sparkle and they were valued for the way they sparkled in gas or candlelight. 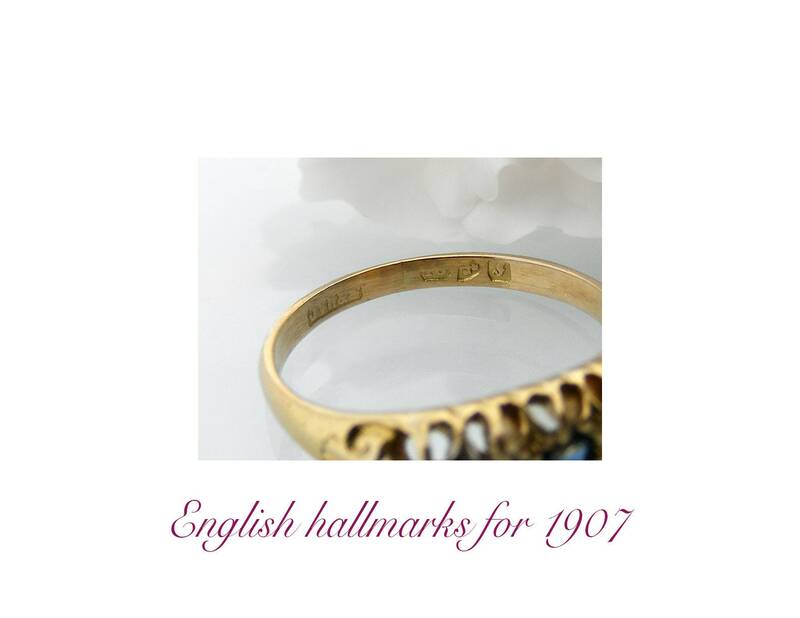 The ring has full hallmarks for the assay office of Chester, England and the year 1907. The central sapphire measures just over 2mm in diameter, the diamond either side slightly smaller. The inside measurement of the ring is 17.45mm. The narrowest part of the band measures 2mm wide at the back. The top of the focal sits 3mm above the hand. Condition: Very, very good. All stones are secure, the ring band is very strong and in perfect shape. 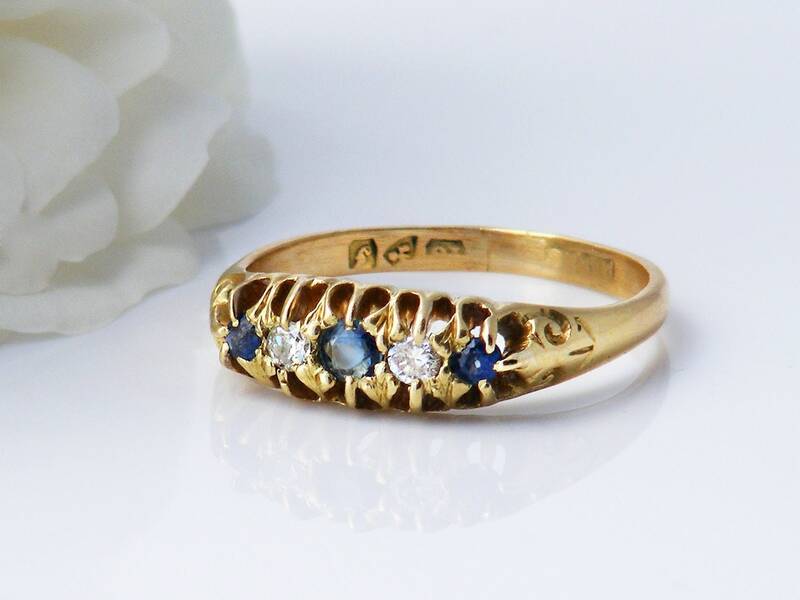 A romantic ring with classic Edwardian styling - a true beauty. 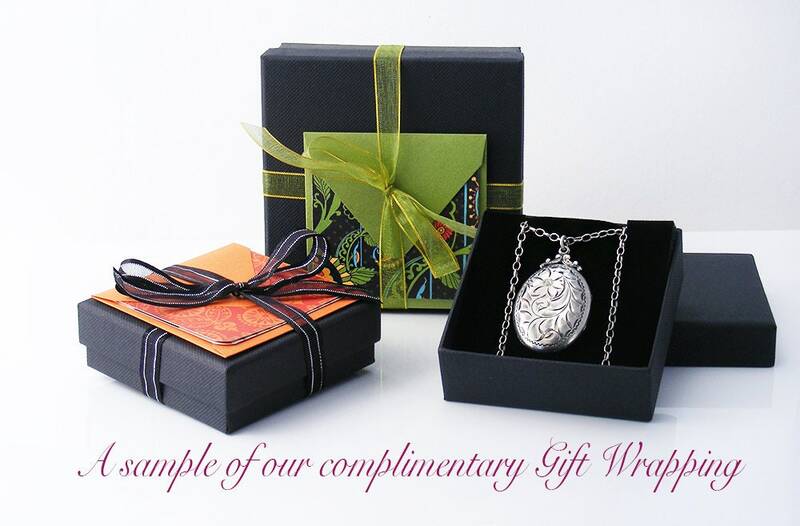 Lovely as an engagement or eternity ring, wonderful as a gift for any occasion. Please note: the shipping on this piece is via International Courier with a delivery target is 4-6 working days world wide - meeting this target may depend on border or customs delays.